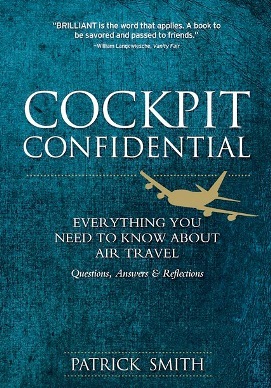 Patrick Smith’s Ask the Pilot was “everything you need to know about flying before you click the ‘book now’ button. “ Now he’s followed it up with Cockpit Confidential: more questions, more answers, but equally important more reflections. Patrick may be a hard-nosed realist when it comes to flying – there’s plenty about why flying can be a pretty awful experience these days – but he’s also a soft touch romantic. And so am I. Everytime I arrive at an airport I’ve got that ‘this is going to be interesting’ feeling and I regularly remind myself of Joan Didion’s comment in The Year of Magical Thinking that ‘the most beautiful things I had ever seen had all been seen from airplanes.’ Every year there will be aerial views popping up on this website because so often there are fabulous views out the window. Reading his new book has triggered lots of aviation thoughts and reflections of my own and I’ll be posting a number of those over the next week. Starting with Patrick’s reflections on The Airplane in Art, Music & Film. Which made me think there are plenty of airline and airport films, but there is also AirCraft – The Jet as Art, Jeffrey Milstein’s wonderful photographs of airliners on their final approach. And despite all the rock songs about flying places Australian singer Paul Kelly’s ‘Sydney from a 727 at night’ is way out in first place for me. 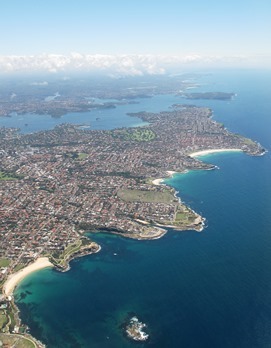 Hey I’ve seen Sydney from a 727, and lots of other aircraft as well. Plus there’s that killer closing line about Dallas and a DC9.